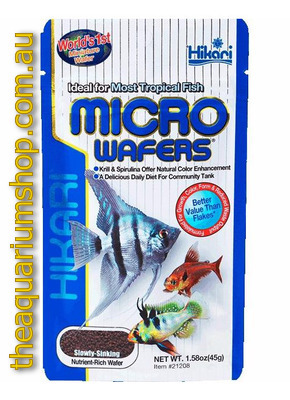 The smallest wafers for all types of tropical fish for superior colour enhancing. Hikari Micro Wafers are rich in Spirulina and Astaxanthin. Contains high grade marine and vegetable proteins efficient digestion, ready acceptance and superior nutrient utilization.